The holiday season is here and if you’re planning to fly to visit friends and family, you need to start making your travel arrangements now. Getting a great deal on a flight can seem impossible but it really just requires a little bit of time and research. 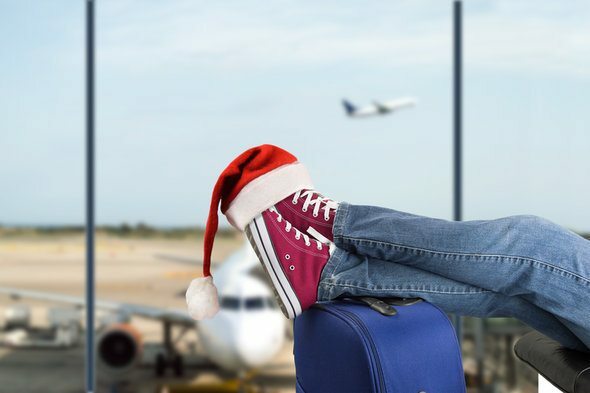 Whether you’re planning on making a cross-country trek or a trip to a neighboring town, here are some tips to help you find the best bargains on air travel over the holidays. Find out now: Which credit card is right for me? Looking for deals at the last minute is a great way to save on flights but it’s not necessarily a smart strategy when you’re trying to make Christmas dinner on time. While it’s possible to snag seats at rock-bottom prices, finding a last-minute deal can be very hit-and-miss. Buying your tickets in advance guarantees that you won’t miss out on any of the holiday fun and you’ll have more time to shop around for the best air travel rates. For example, your chances of finding a cheap flight are better if you’re willing to fly during peak travel periods. Rates during peak travel times tend to vary based on where you’re flying to and from but generally, you can score the best bargains one or two days before and after the holiday. You might even consider traveling on the holiday itself for more savings, since traffic tends to be slower on Thanksgiving, Christmas and New Year’s Day. 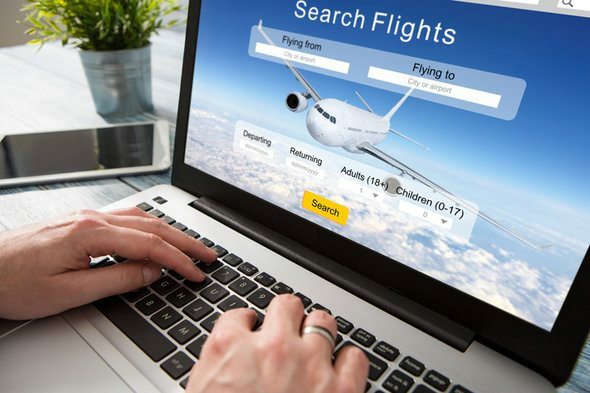 Sites like Priceline and Kayak are great if you’re looking for an easy way to compare prices on air travel but you could be missing out on major savings if you’re not checking out flights directly through the airlines. Not all airlines are listed on third-party sites so it pays to compare rates to make sure you’re getting the biggest savings. When you’re doing comparisons, try to keep your travel dates as flexible as possible so you can get the widest range of prices. If you’re comparing multiple airports in the same area, take a look at how far away each one is to your destination. Scoring the cheapest flight may not add up to much savings if you have to rent a car to drive the rest of the way. Travel rewards credit cards are designed to make travel less expensive, since they typically allow you to earn miles or points that are good towards airfare, hotels and car rentals. While these cards can help you save big on air travel, you need to read the fine print to make sure you’re getting the most from your rewards. For example, you need to know whether your card issuer has any restrictions on when or how you can redeem your miles or points. If you fly during a blackout period, you won’t be able to use your rewards to cover your airfare and you may not be able to earn additional rewards for using your card to book the flight. Saving money on your airline tickets won’t make much of a difference if you end up shelling out hundreds of dollars in baggage fees. 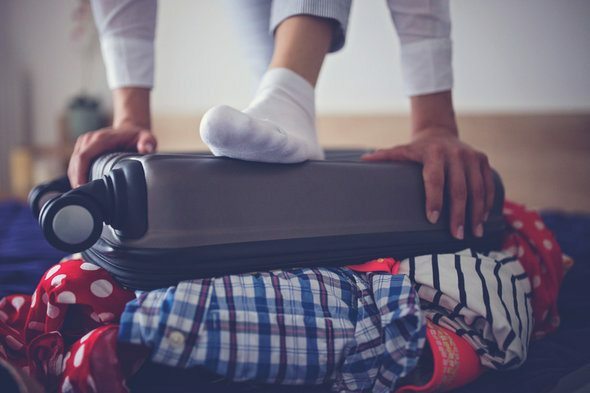 Typically, baggage fees can range from $20 to $200 so knowing what to take with you and what to leave at home can have a big impact on your bottom line. This is especially true if you’re planning to travel with gifts or other holiday items. If you’re taking a lot of things with you that won’t be coming back, it might be cheaper and easier to have them shipped rather than checking extra bags. If you’re planning a longer stay, taking what you need in a carry-on and having the rest of your luggage shipped can add up to even more savings. Airlines are constantly changing their prices so it’s important to keep an eye on rates even after you’ve booked your flight in case a better deal comes along. Most airlines will offer air travel credits or vouchers if your flight’s price drops after you’ve already paid. Just keep in mind that you could get hit with a re-booking fee if you change your flight so you’ll need to weigh it against the rebate to see if it’s really worth it. The holidays are hectic enough when you’re staying at home but adding air travel into the mix can be a recipe for disaster. Doing a little homework beforehand can reduce stress when you’re traveling and make it easier to stay in the holiday spirit.